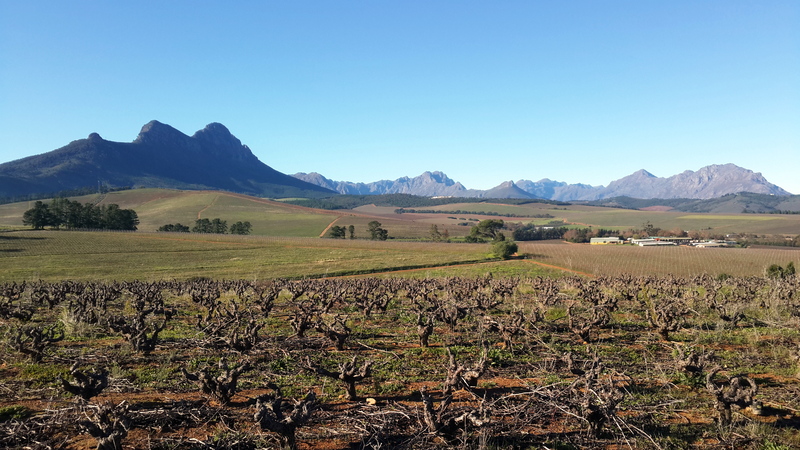 This is a wonderful trail for a short outing in to the Cape Wine Region of Stellenbosch, for those who want a bit of outdoor activity to wet the appetite for wine tasting or other activities in the area. 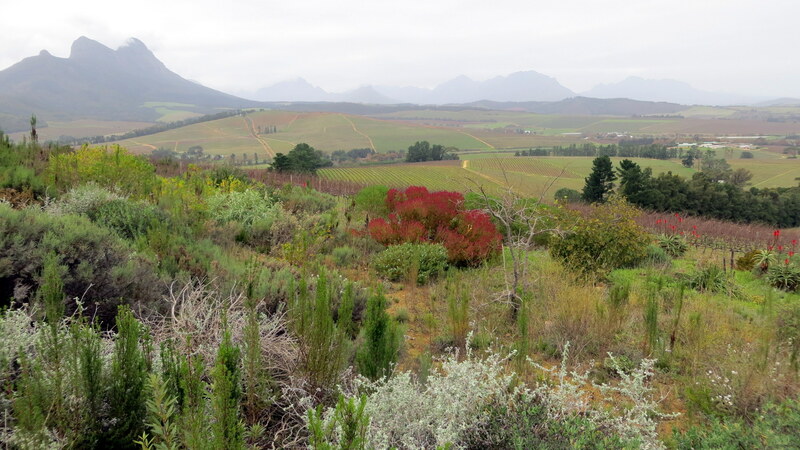 The hill leading up to the ‘kop’ (peak or head) is also extremely interesting from a botanical point of view, encompassing the three biomes of the region – renosterveld, fynbos and afro-mountain forest – all in a very small area. 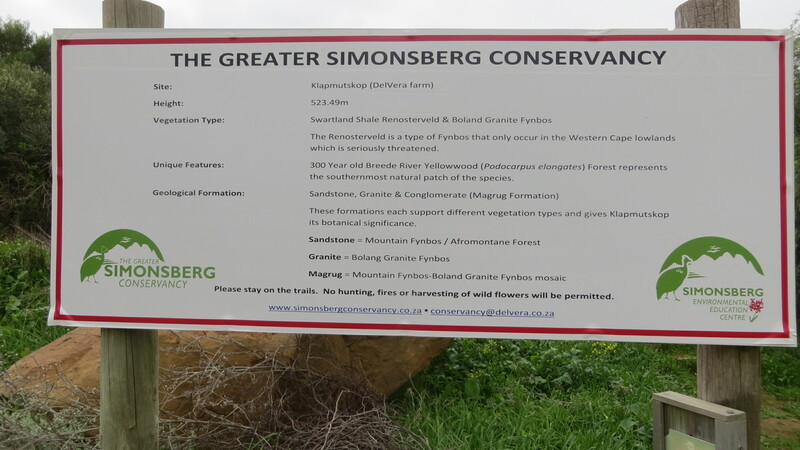 It forms an important part of the Greater Simonsberg Conservancy area. The walk starts at the Delvera Wine Estate, where you will need to purchase a walking permit (R30 as at June 2014) from the reception area. The first part of the hike meanders through the vineyards, marked with the various cultivars that you are passing by. It is interesting to see the differences between the various vine varieties and how they are trellised and pruned or maintained as bush vines. The path is well marked, taking hikers over wide farm tracks with clay underfoot conditions. 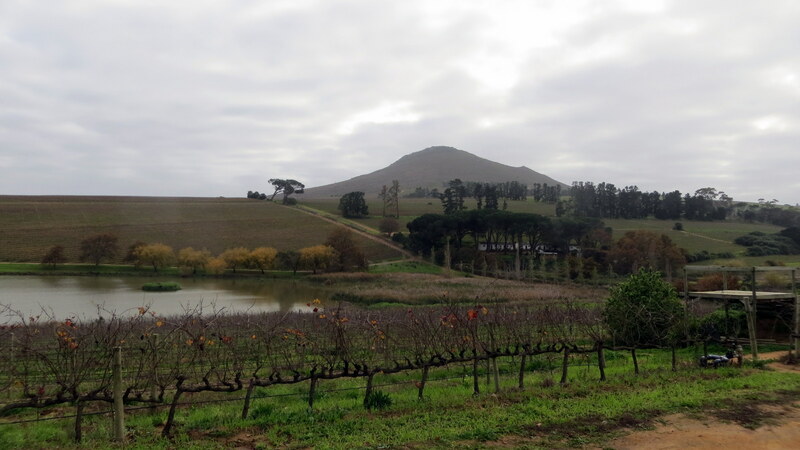 As the path approaches the hill it enters the renosterveldt band the circles the ‘koppie’, zig-zaging gently up the slope. It is an excellent example of this severely threatened biome, with only 6% of the original area still regarded as sustainable. 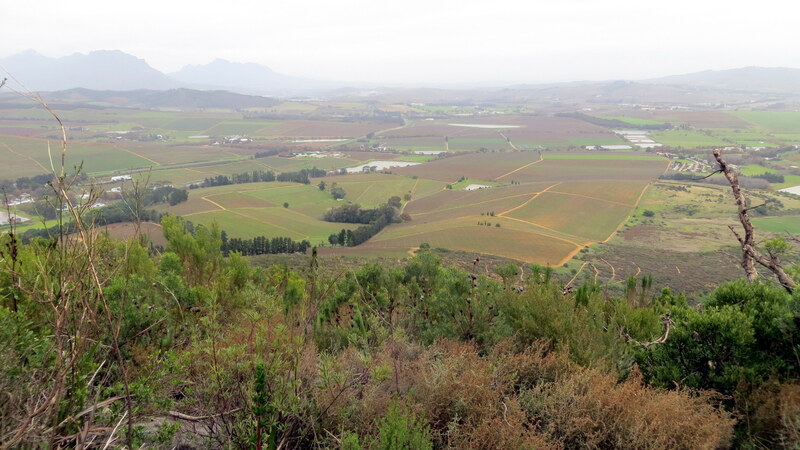 About half way up the hill the path skirts vineyards again, where the Greater Simonsberg Conservancy information board explains the importance of the area. 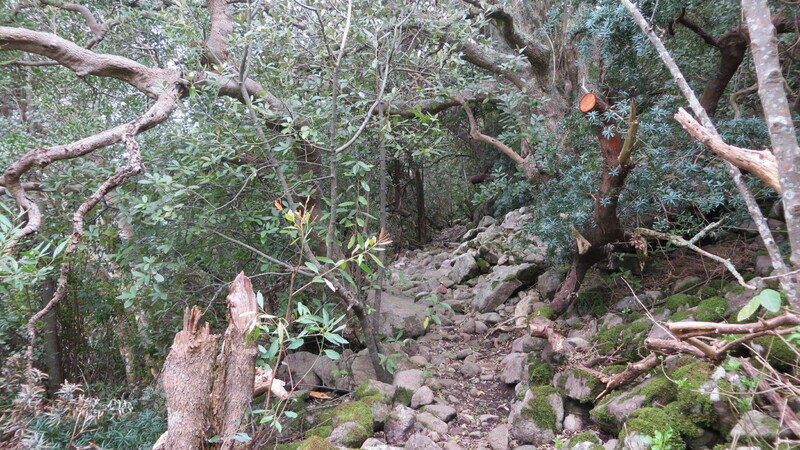 The path then climbs slightly more quickly through the renosterveldt band up to the fynbos band above. The transition between the two is quick and quite dramatic, suddenly hikers are in amongst proteas, restios and ericas, among others, putting the route firmly in the Cape Floral Kingdom. The fynbos band is quite short, before suddenly the forest at the top appears. Even when you know it is there it is a surprise – beautiful Breede River yellowwoods perched on top of this unlikely hilltop. 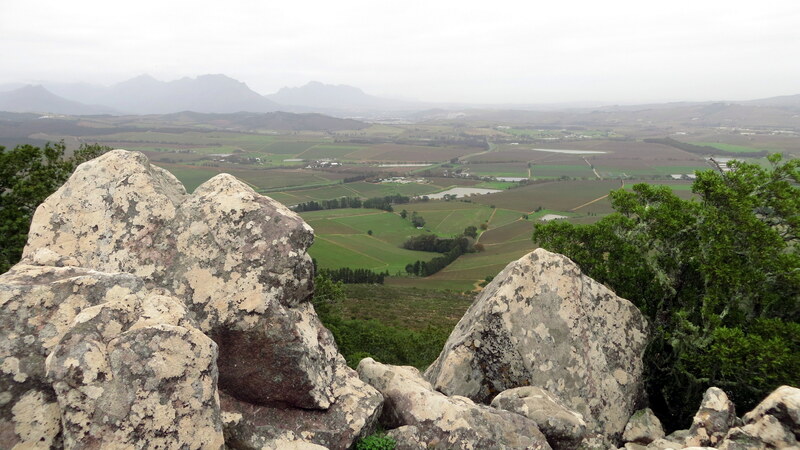 From the top, the 360 degree views of the Stellenbosch Mountains, Simonsberg, DuToitskloof and the Paarl Mountains are unmatched. On a fine day Table Mountain is also clear in the distance. The path back circle the hill on the other side, before joining the vineyard tracks once more and zig-zagging back to the farm. The hike is about 3 to 31/2 hours, allowing for photography and tea breaks.